NayaPakistan...New Pakistan... Imran Khan Pakistan..
CEMB → Forum → News and Events → International news and issues → NayaPakistan...New Pakistan... Imran Khan Pakistan..
Topic: NayaPakistan...New Pakistan... Imran Khan Pakistan..
Former president retired Gen Pervez Musharraf is "growing weaker rapidly" due to an unspecified illness and so cannot return to Pakistan ............, according to All Pakistan Muslim League (APML) leader Dr Muhammad Amjad. "Pervez Musharraf had a fracture in his spine, for which he got treated in the USA," Dr Amjad told the media in a presser following a meeting of the APML central executive committee (CEC). "But nowadays he is being treated for a separate ailment. For this, he has to go to London after every three months. So here are the problematic news.. The FIA had registered a case against Haqqani in March for committing "criminal breach of trust, misuse of authority and embezzlement of funds". The former US envoy is the principal accused in the Memogate scandal. A hearing in the matter was held on Friday which was presided by special judge central, Irum Niazi. According to the FIA report, Haqqani was also involved in the misappropriation of embassy funds to the tune of $2 million. These idiots running the country from sitting on JUDGES bench can not accuse people like that clubbing all nonsense together ..
2 million dollars?? The guy was Pakistan Ambassador ..
A three-member special bench of the Supreme Court will on Monday hear the final appeal against the execution of Asia Bibi, a Christian woman sentenced to death for blasphemy. 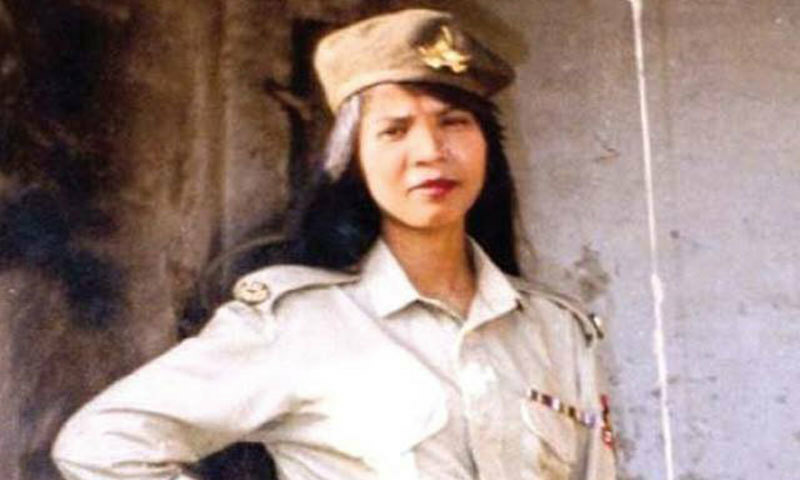 Asia Bibi, accused of insulting the Prophet Mohammed (PBUH) during an argument with a Muslim woman over a bowl of water, was convicted and sentenced to death in 2010 despite her advocates maintaining her innocence and insisting the accusers held grudges against her. Former Punjab chief minister Shahbaz Sharif was on Friday arrested by the National Accountability Bureau (NAB) at its Lahore office in the Rs14 billion Ashiana-i-Iqbal Housing Scheme case, DawnNewsTV reported. The Leader of the Opposition in the National Assembly has been accused of corruption in the Ashiana Housing case. He will be produced before an accountability court for remand tomorrow. 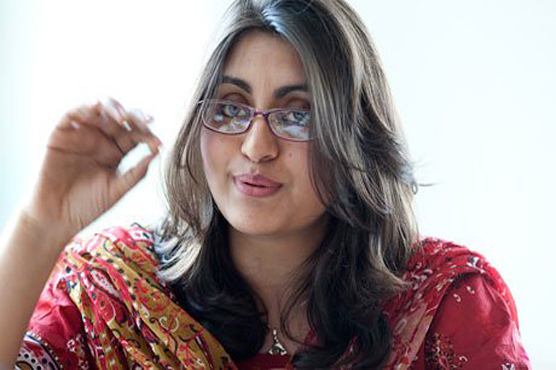 PLEASE TRY TO DEAL THESE CORRUPTION CASES ONE BY ONE ... By putting every one in jail will not help the cause of Pakistan..
ISLAMABAD: Pashtun human rights activist and founder of Seeds of Peace network Gulalai Ismail was arrested by Federal Investigation Agency (FIA) at Islamabad Airport on Friday upon her arrival from London. Ismail, who is an active member of the Pashtun Tahafuz Movement (PTM), a social movement for Pashtun rights based in Balochistan and Khyber-Pakhtunkhwa (KP), claimed in an audio statement issued after her arrest that she has been arrested for “raising a voice for civic rights and peacebuilding” and “participating in PTM jalsa in Swabi”. Here Gulalai Ismail speaks on Ted..
Glad to note that she was already bailed out that arrest .. What is wrong with these idiots in the corridors of power . Why arrest her in the first place?? To day we have another problem .. Problem from Baboons of Islam from that Labbaik Ya Rasoolallah party that scoundrel Allama Khadim Hussain Rizvi acting like calipha Rasoolallah of Pakistan..
LAHORE: The Tehreek-i-Labbaik Pakistan (TLP) has warned of paralysing the country within hours if the Supreme Court sets Aasia Bibi, a Christian woman sentenced to death for blasphemy, free. The TLP directed its local leaders across the country on Friday to start holding sit-ins within hours without waiting for a decision by the central leadership, if she is freed. 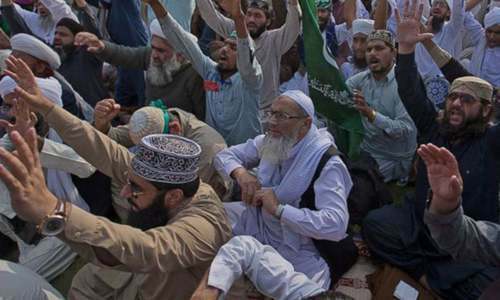 “Judges’ remarks have sown doubt among the party leaders and fears that she would be released soon,” Pir Afzal Qadri, patron-in-chief of the TLP, said while addressing a rally taken out to protest the possible acquittal of Aasia Bibi. The Federal Investigation Agency (FIA) has booked Din News TV host Rizwanur Rehman Dada on charges that he posted "defamatory and obnoxious" content against the judiciary, government institutions and intelligence agencies on his Twitter account, it emerged on Saturday. The FIA, in an FIR dated Feb 8, has stated that Dada was "summoned" to join the inquiry and have his statement recorded. well I am glad to see Rizwanur Rehman laughing., he came out without a bullet ..
Government issues order to seize assets of all banned outfits under UN sanctions regime says News with this picture.. The federal government on Monday issued an order to streamline the process for implementation of sanctions against individuals and entities designated by the United Nations Security Council, the Foreign Office announced. The United Nations Security Council (Freezing and Seizure) Order, 2019, has been issued in accordance with the provisions of Pakistan’s United Nations Security Council (UNSC) Act, 1948. Interpreting the order, FO Spokesperson Dr Mohammad Faisal said it means that the government has taken over the control of all proscribed outfits operating in the country. "[From now onwards], all kinds of assets and properties of all [banned] organisations will be in the government's control," the spokesperson told DawnNewsTV. He added that the government will now also seize the charity wings and ambulances of such banned outfits. "The objective of the [order] is to streamline the procedure for implementation of Security Council Sanctions against designated individuals and entities," the FO spokesperson said in a statement. ..
make the list of those rogues and publish it widely.... just a letter and a picture is no use..
well let me watch these tubes.. 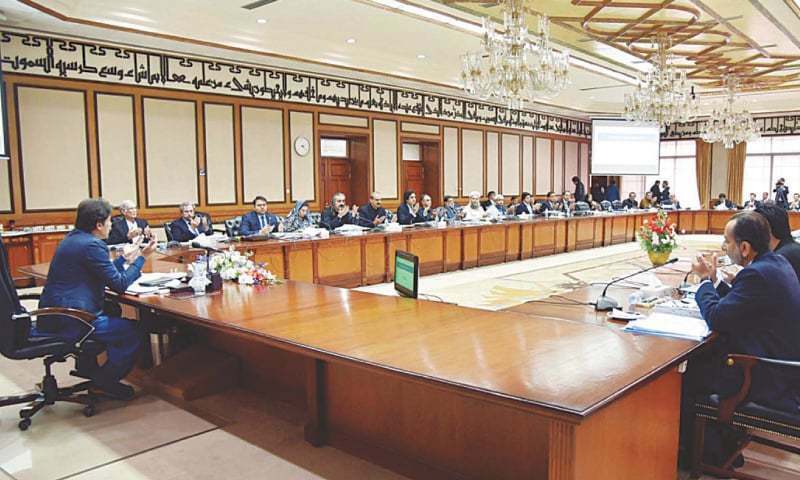 Cabinet decides to sell off property of federal ministries says news with this picture..
ISLAMABAD: The federal cabinet on Tuesday decided to sell off property and assets of different federal ministries and allied departments worth trillions of rupees with a view to generating revenue to support the country’s crippling economy. Interestingly, Pakistan Tehreek-i-Insaf leader Jehangir Tareen, who was disqualified for being ‘dishonest’ by the Supreme Court in a case in December 2017, made an appearance after a long gap and gave briefing on the Rs290 billion National Agriculture Emergency Programme (NAEP) to the cabinet that later approved it. “Prime Minister Imran Khan has sought lists of properties of ministries for disposal,” the minister said, adding that the ministries had already finalised their lists and sent them to the federal cabinet. Asked how the government could sell its assets without adopting proper liquidation process, Mr Chaudhry said the government would first adopt a uniform policy for disposal of all such properties, because every public organisation had their own disposal policy hampering the government’s plan to dispose of abandoned properties or those which were not in use. “The uniform policy will also describe a modus operandi to legally sell off the properties,” he said. The information minister said a committee comprising ministers Zulfi Bukhari, Ali Zaidi, Murad Saeed, Ali Amin Gandapur and Hammad Azhar had been formed to sell the government assets.